For me my hairstyling must be easy and fast, because I don´t want to spend hours in the bathroom to style my hair. Luckily my hair is easy to care, but sometimes it is tangled and looks really like "out-of-bed", although that´s not how they were supposed to look. 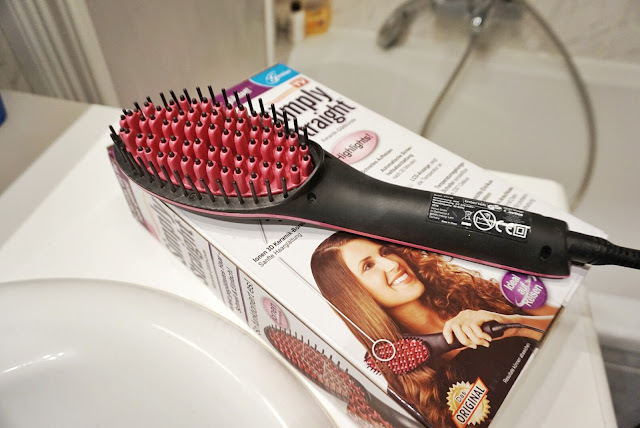 I have thought a long time about buying a hair straightening brush, because I just hadn´t known if it´s a good thing for my hair and I just couldn´t find any reviews on blogs or some other websites. 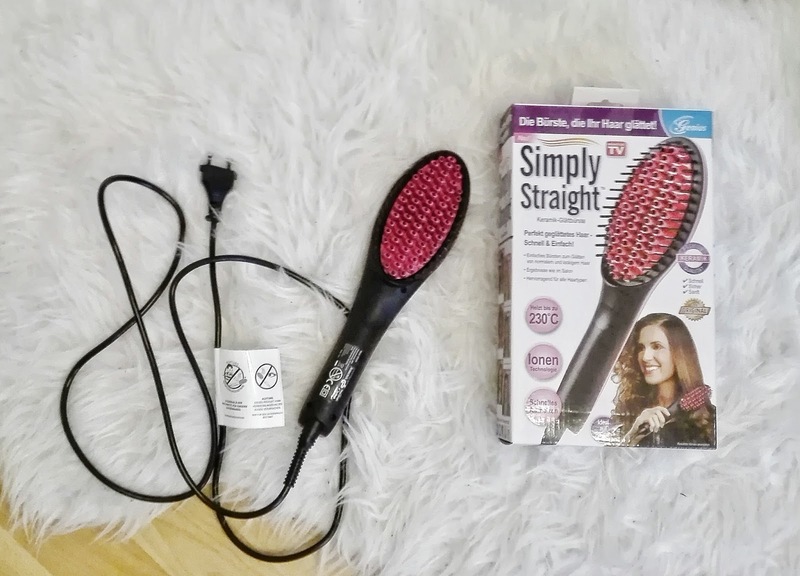 But some time ago I finally got such a brush as a present and thought that a review might be interesting for some of you, who are thinking about buying such a brush. First of all: I have the Genius Simply Straight Brush and use it regularly. 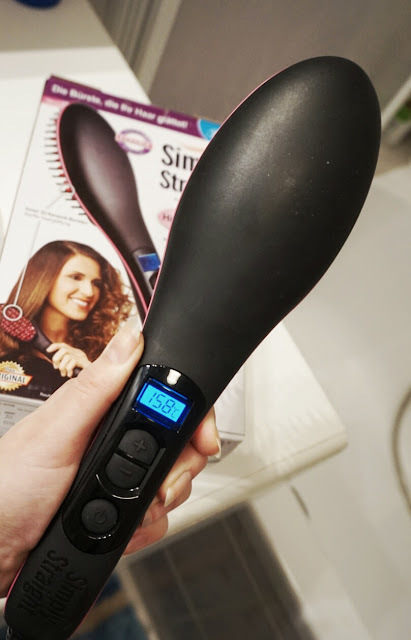 "Perfectly-straightened hair- fast & easy"
"Ionic technology, heating up to 230 degrees, fast heating-up"
I always brush my hair at first with a normal brush, so that my hair is not tangled. Then I use the brush and normally only heat it up to 185 degrees, but if my hair is more wavy than usual I take a little bit more heat. My hair is usually straight with some little bit waves . If you have big waves you will have to heat the brush more. The usage is super easy, because you really use it like a normal brush. You just crew out your hair with it and try to reach every part of your hair. I always had the best results when I brushed slowely through my hair and did that two or three times. 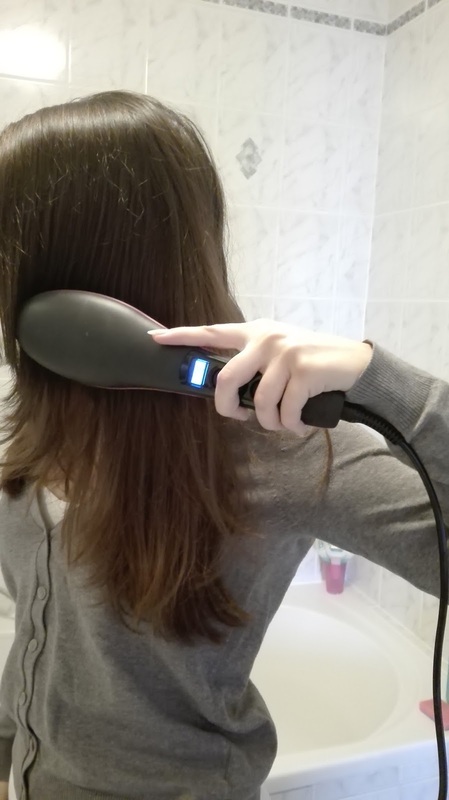 My hair doesn´t loose any of it´s volume and has a nice wave, that why I like the brush, but my hair is never as straight as when I use a flat iron for my hair. 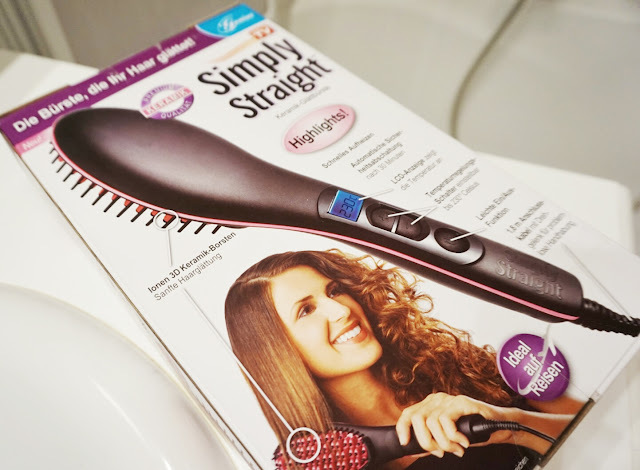 So if you want to have straighter hair with your natural volume a hair straightening brush might be great for you. But if you prefer super straight hair, maybe a flat iron would be the better choice. In Amazon the brush costs about € 25,00, which is a really fair price in my opinion. Many similar brushes cost a lot more, so I think this brush is really a good option if you want to try this kind of hair styling. I am really happy with the results. I really like to use that brush, because my hair doesn´t loose it´s volume after usage. Sometimes I prefer a flat iron, but that depends on the result that I want to have. 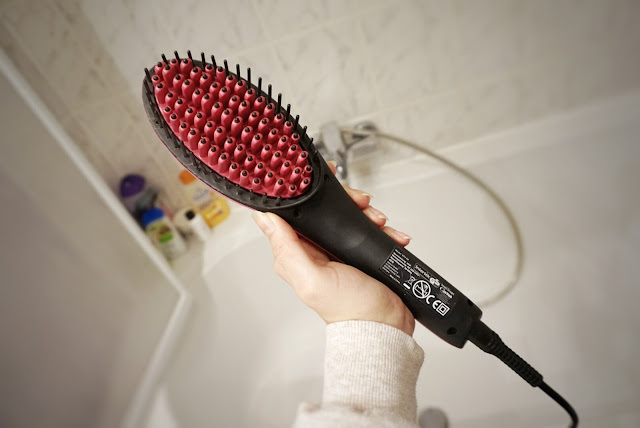 I am happy that I have this brush, because it´s so easy and fast to use and wouldn´t want to miss it in my hair styling. It can for sure be a great option for everyone who doesn´t want to spend hours to have perfectly straightened hair. Do you maybe have or are you interested in a hair straightening brush ? Which things wouldn´t you want to miss for your hair styling? Die Bürste ist wirklich empfehlenswert!